The Castaway, Burbank, Wedding Films! We Love To Film Here! For years, Charles Lauren Films has worked with The Castaway in Burbank to create amazing wedding films for the most fun and innovative couples anywhere! The Castaway in Burbank is the destination for a spectacular view of the San Fernando Valley! It puts the WOW in your event! On a clear day, the sky is the limit! There are multiple reception rooms - so you choose your view! Panoramic views abound! It is perfect for night time filming. 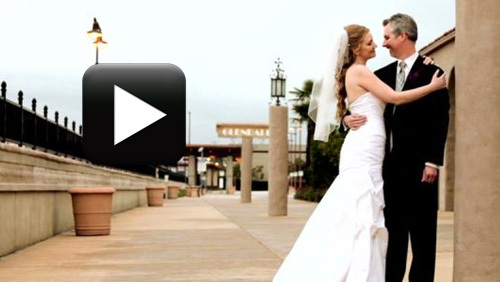 Start Watching Highlights from our Favorite Weddings at The Castaway!